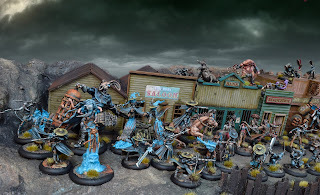 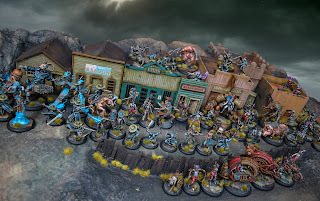 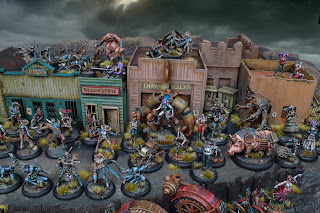 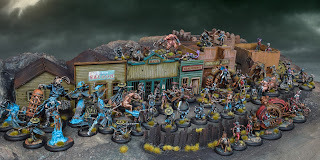 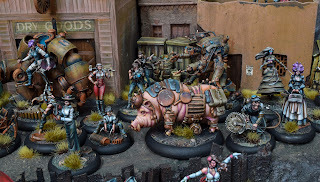 It's been two shakes of a rattler's tail and I'm back with a new project, and a whole mess o' varmints, outlaws, and weirdos. 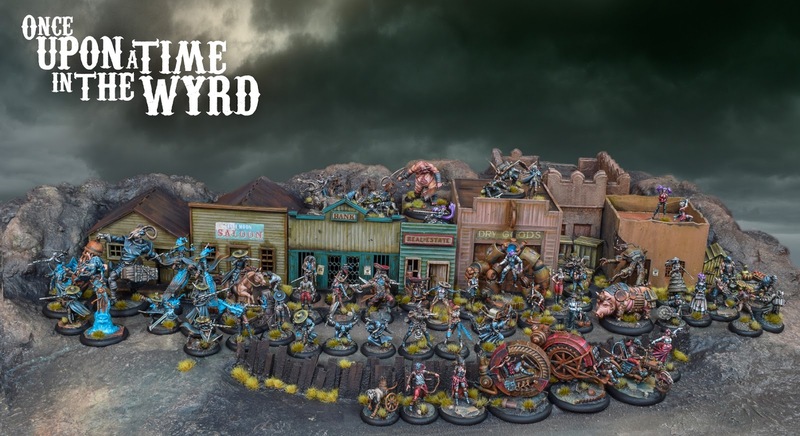 This sleepy little mountain town litr'y ain't big enough for all of 'em. 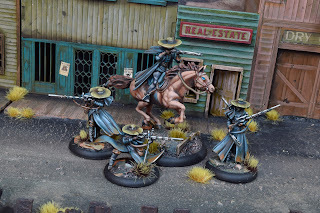 Tarnation, etc. 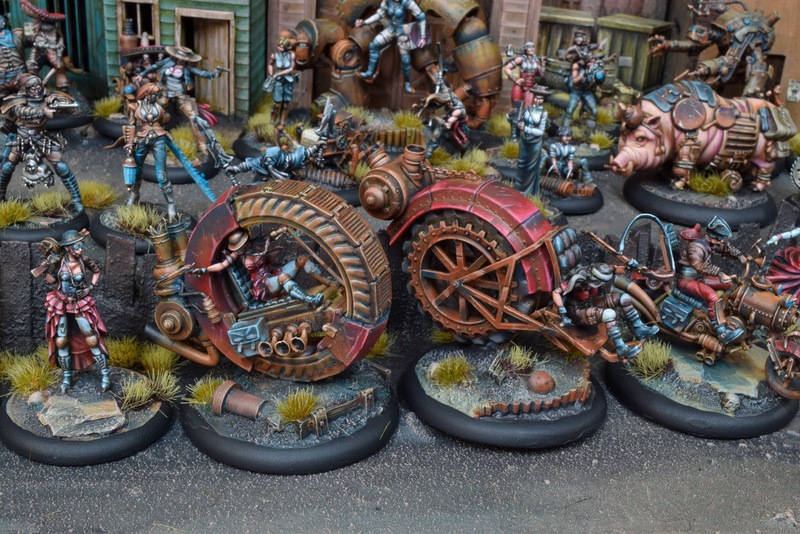 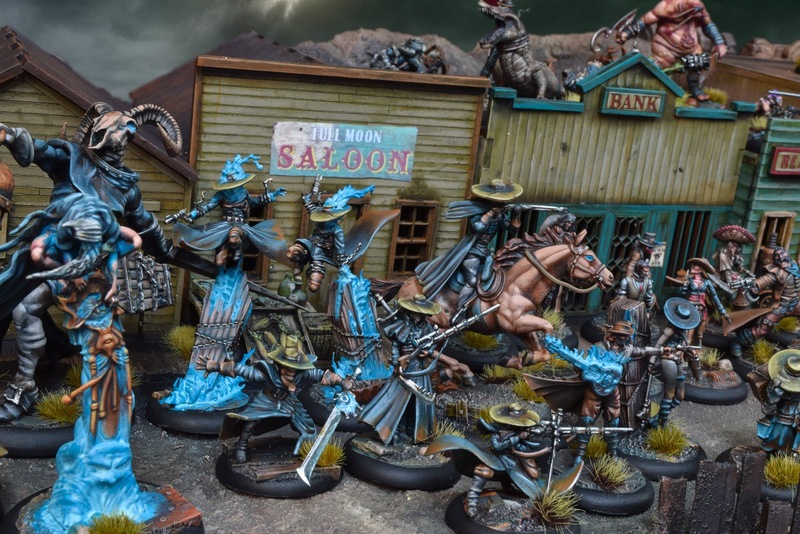 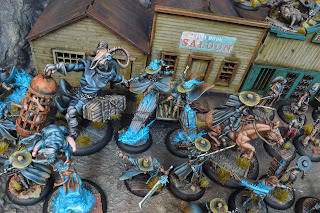 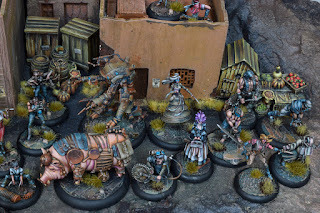 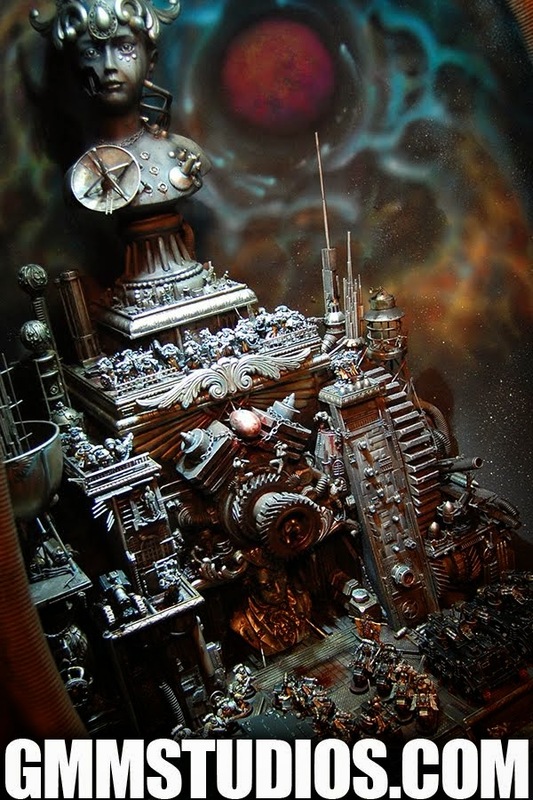 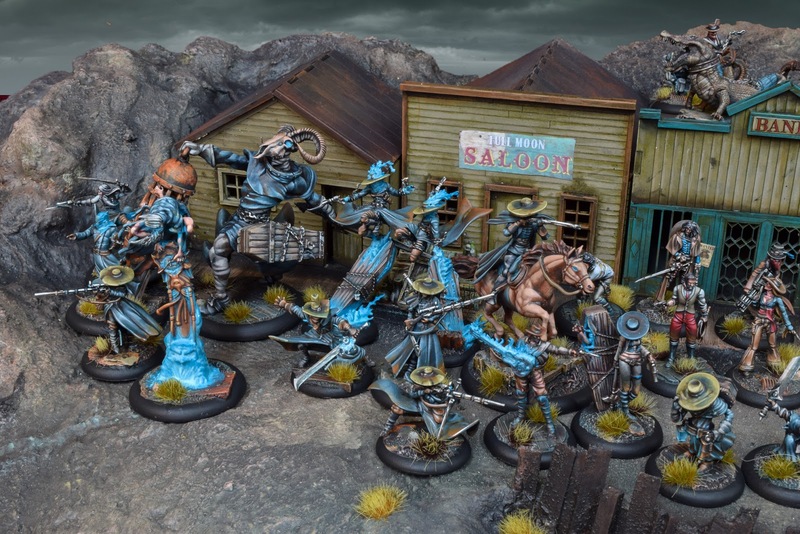 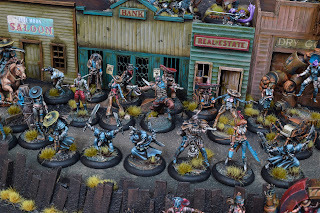 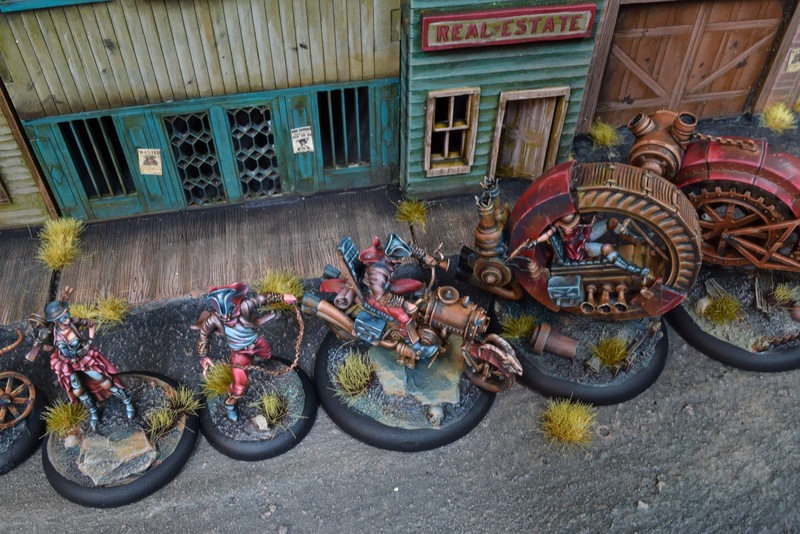 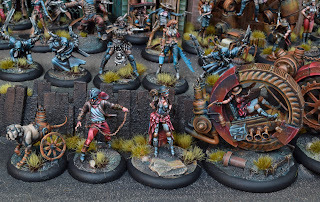 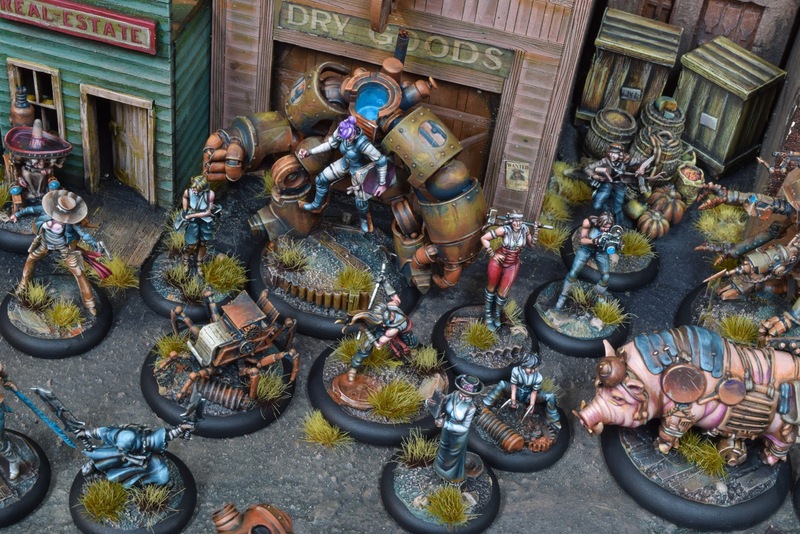 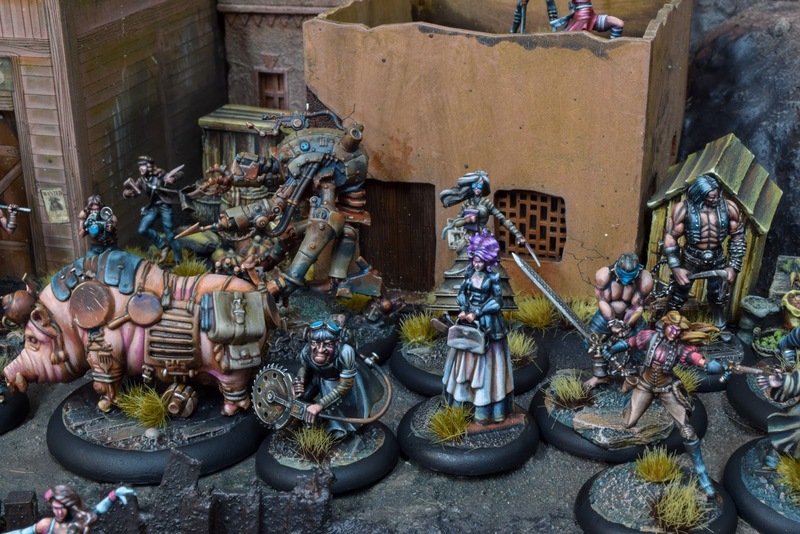 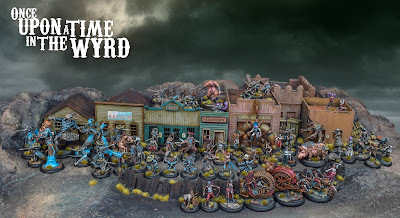 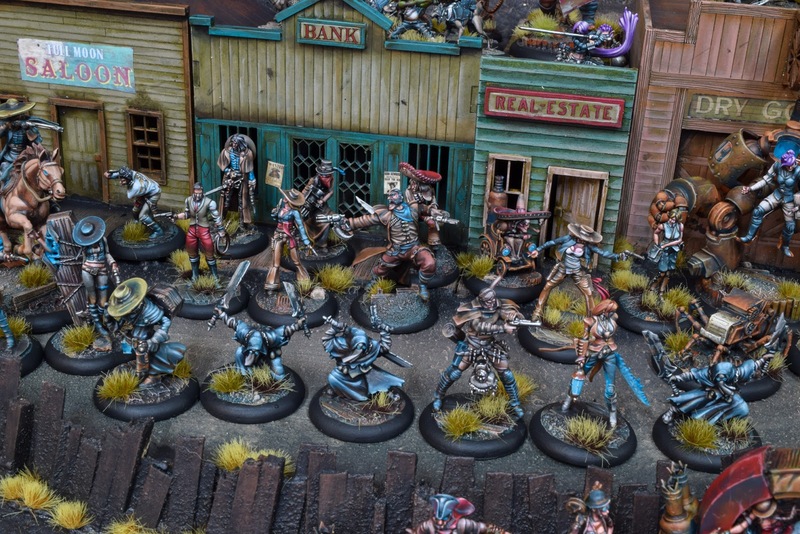 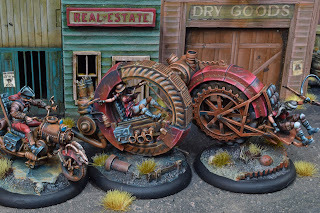 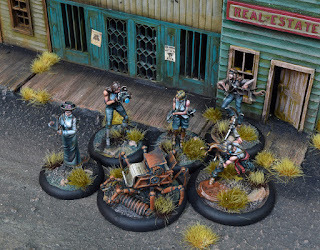 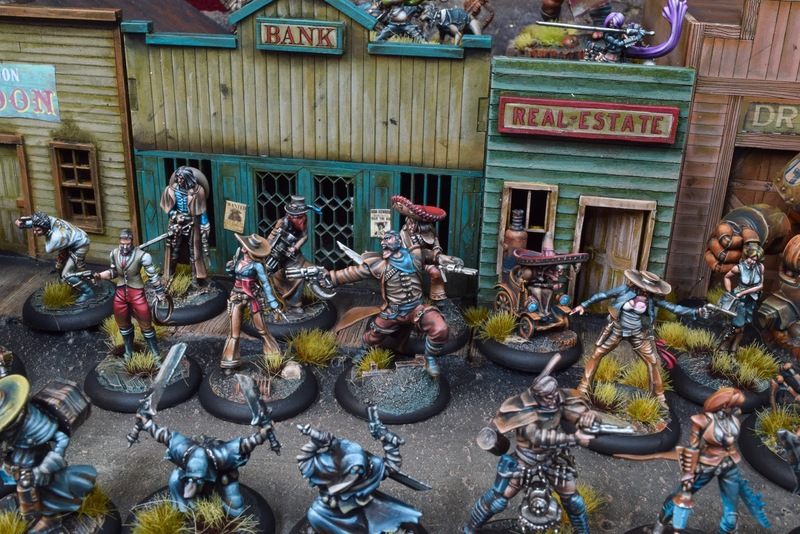 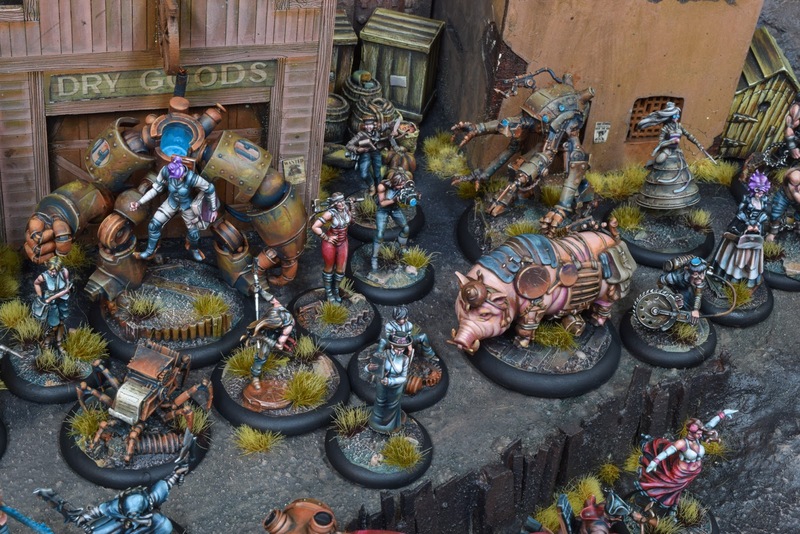 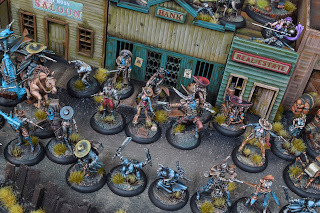 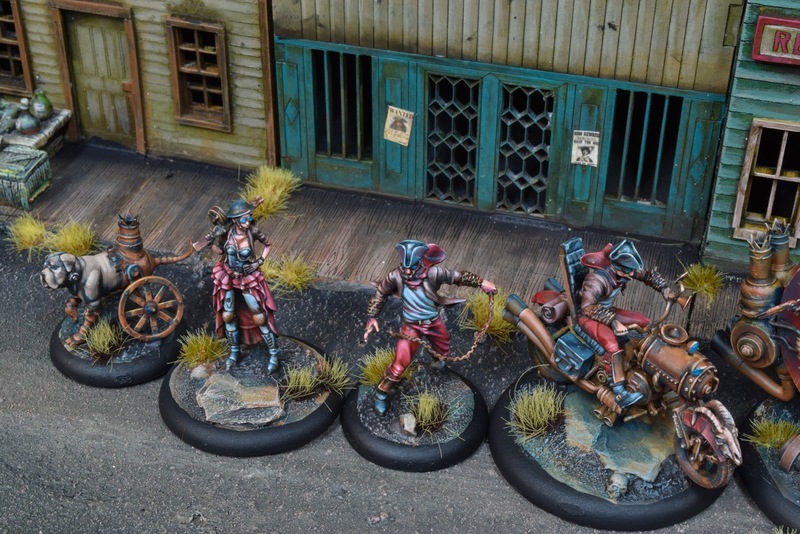 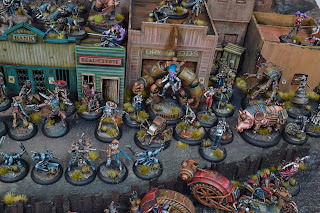 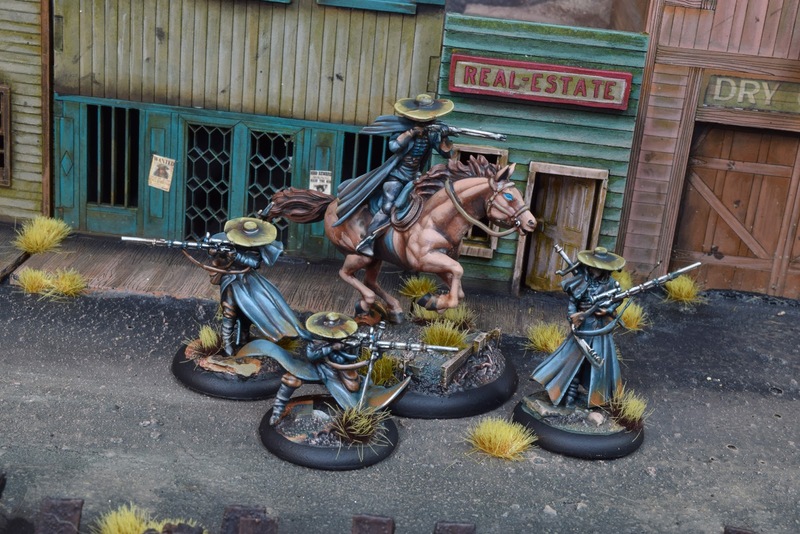 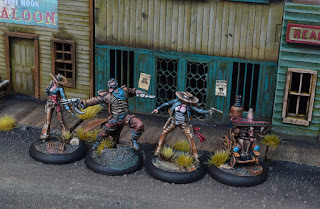 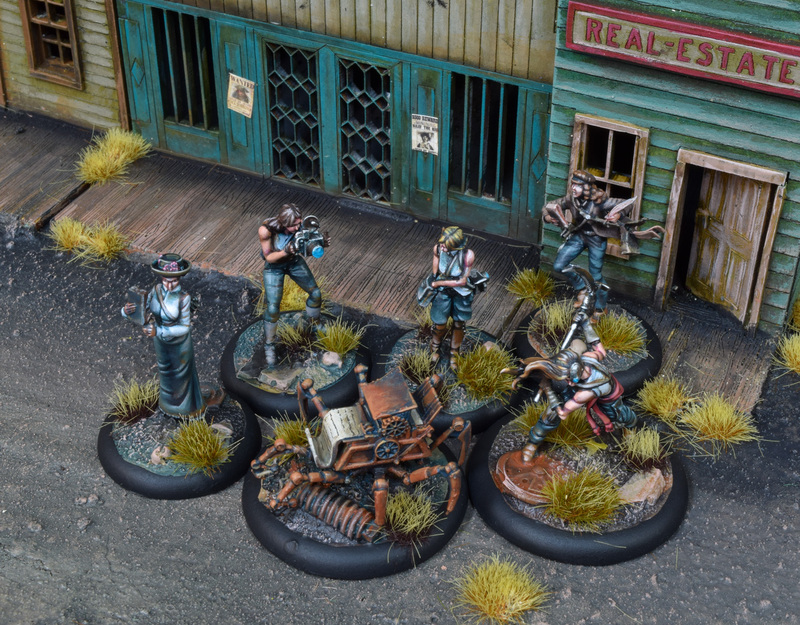 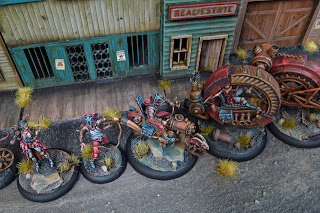 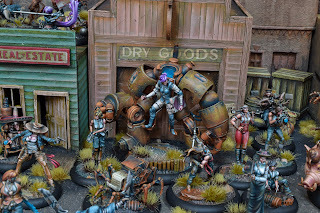 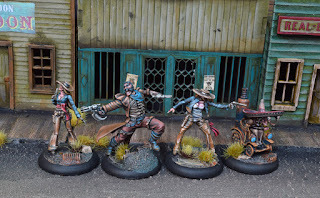 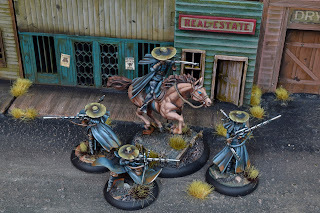 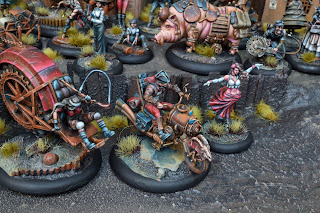 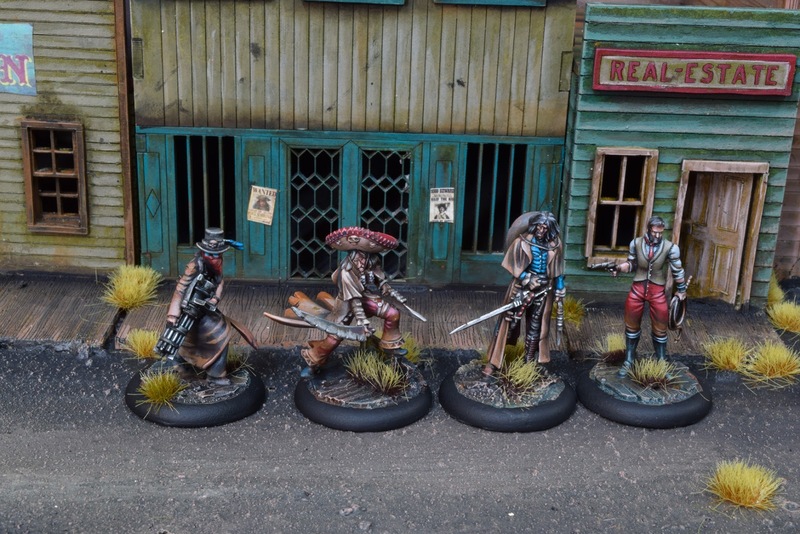 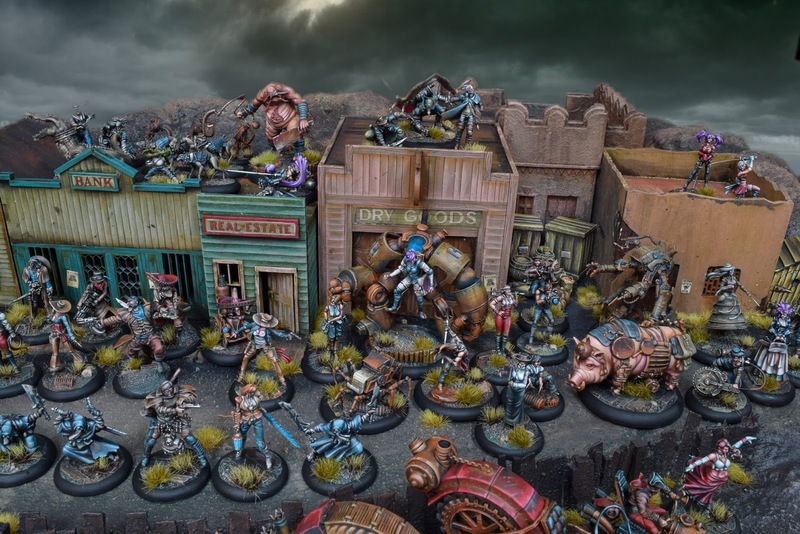 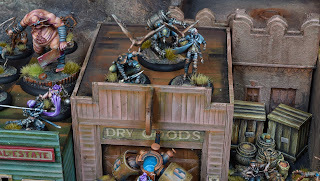 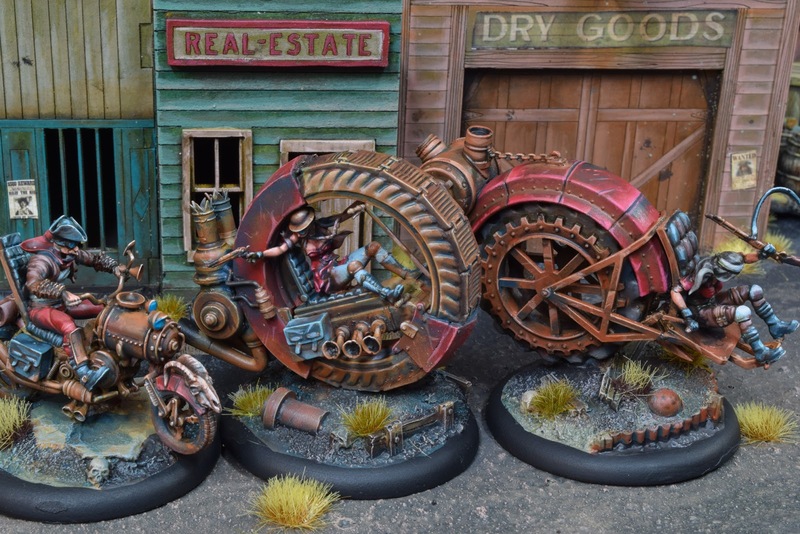 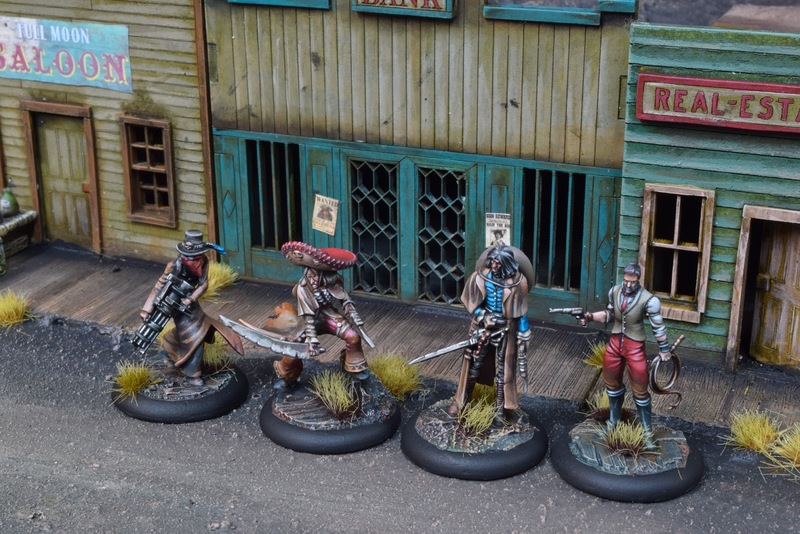 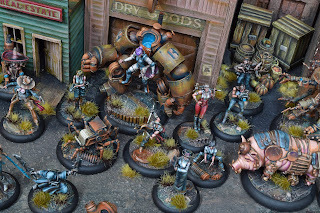 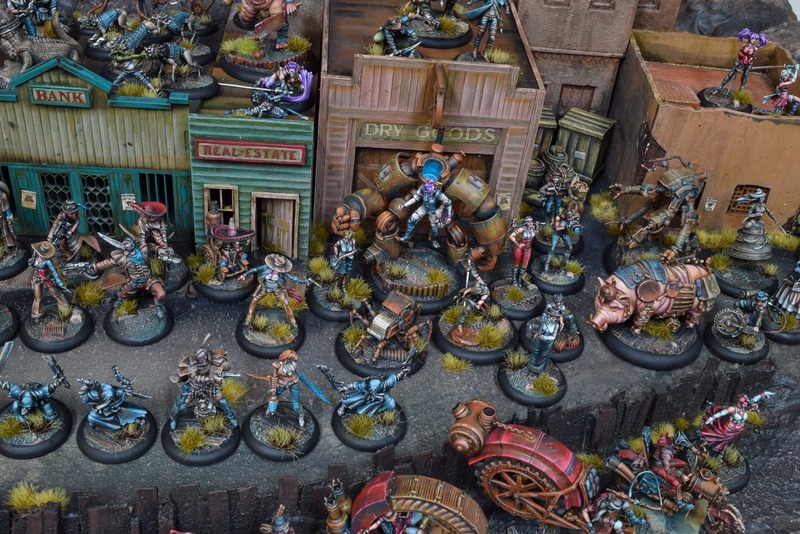 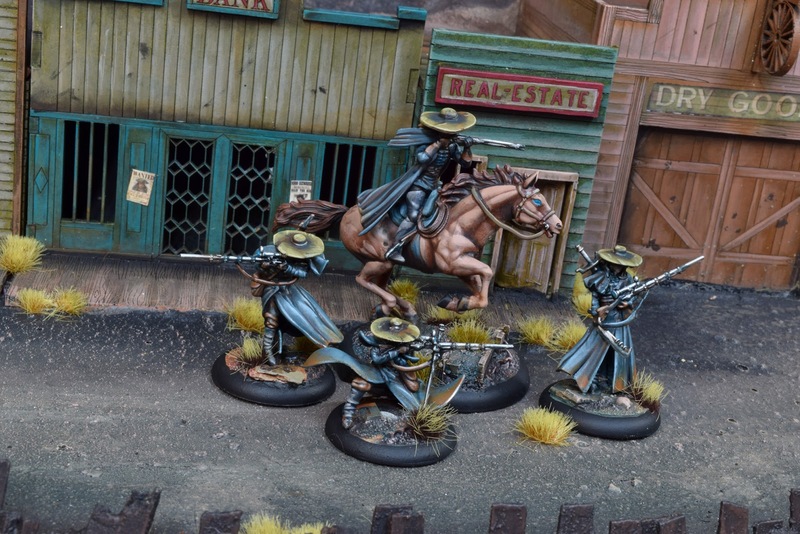 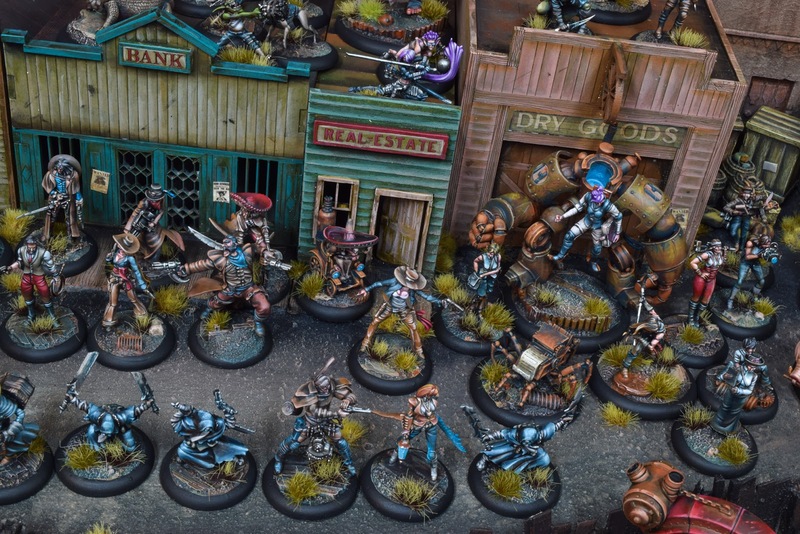 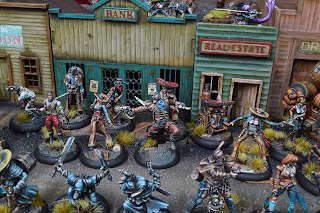 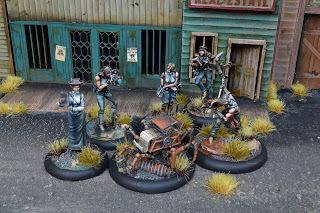 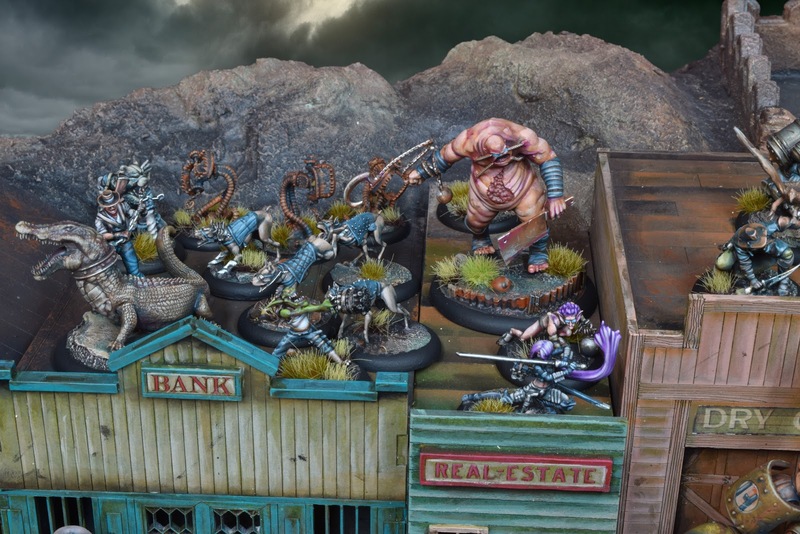 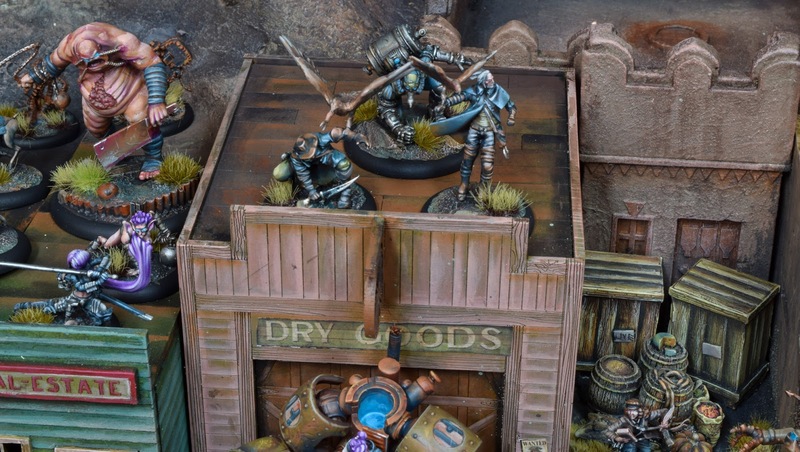 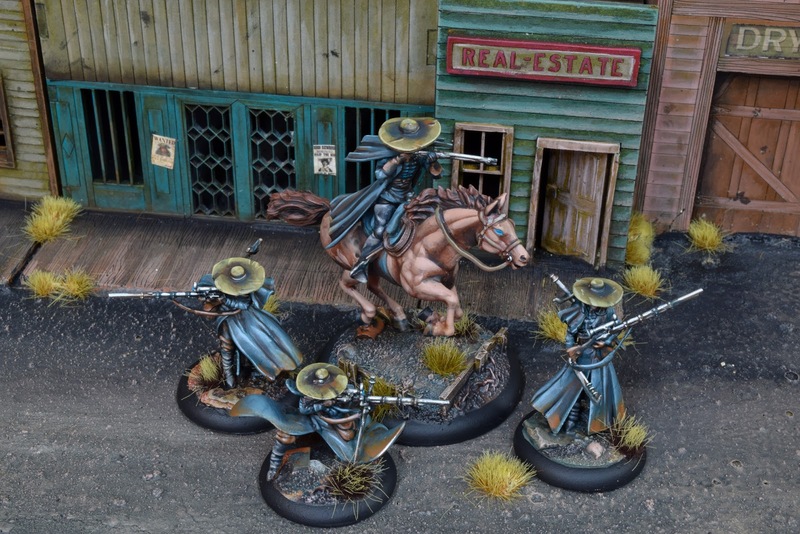 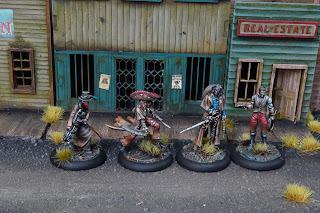 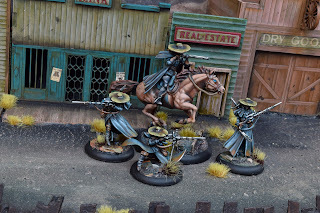 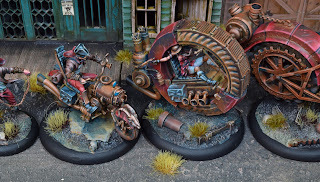 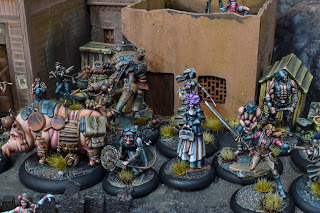 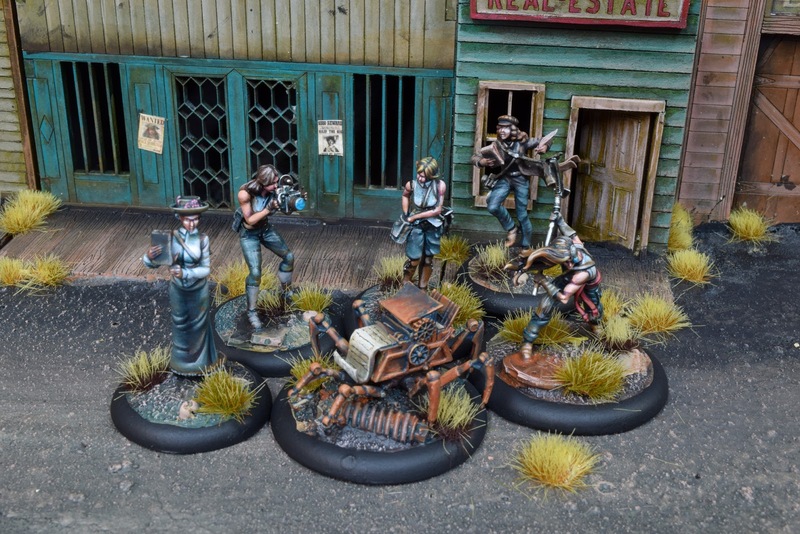 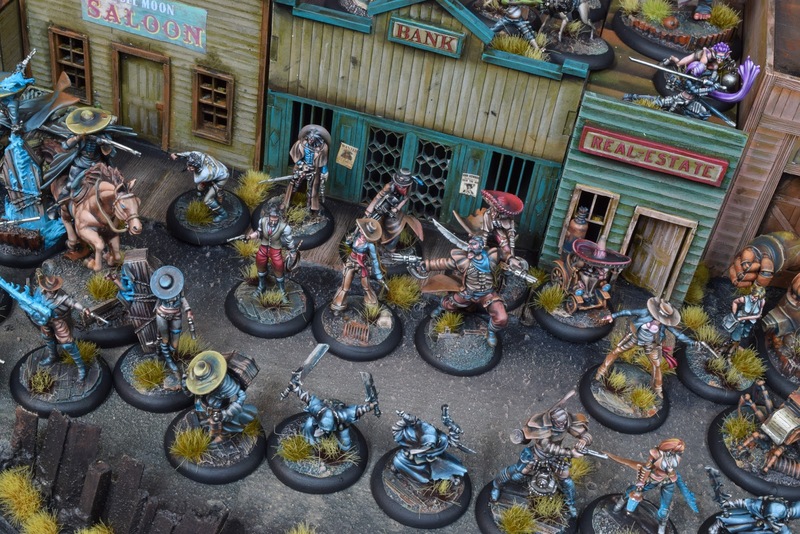 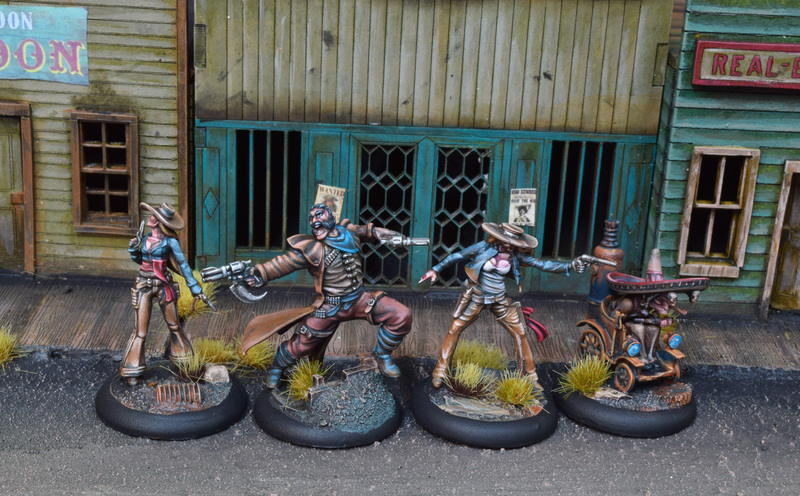 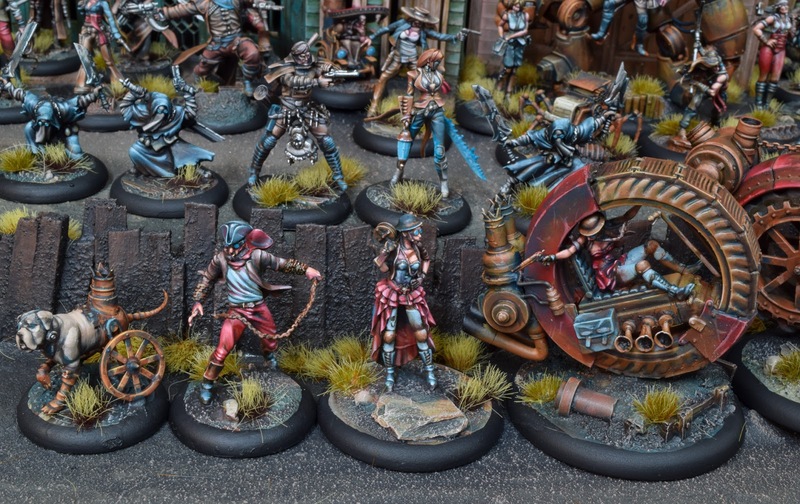 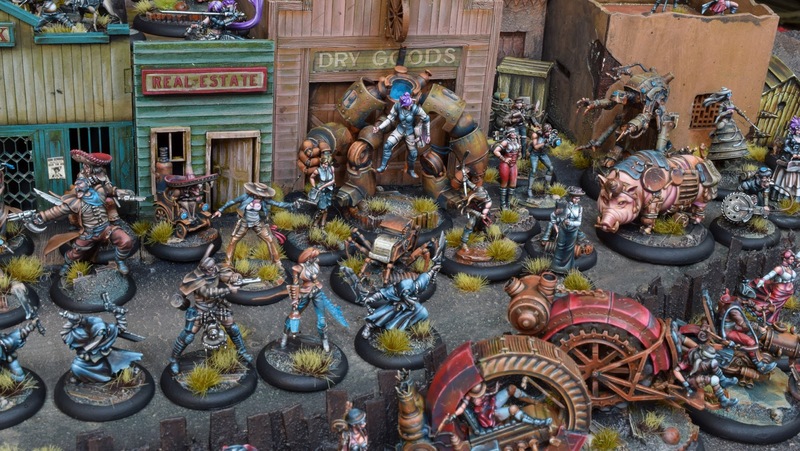 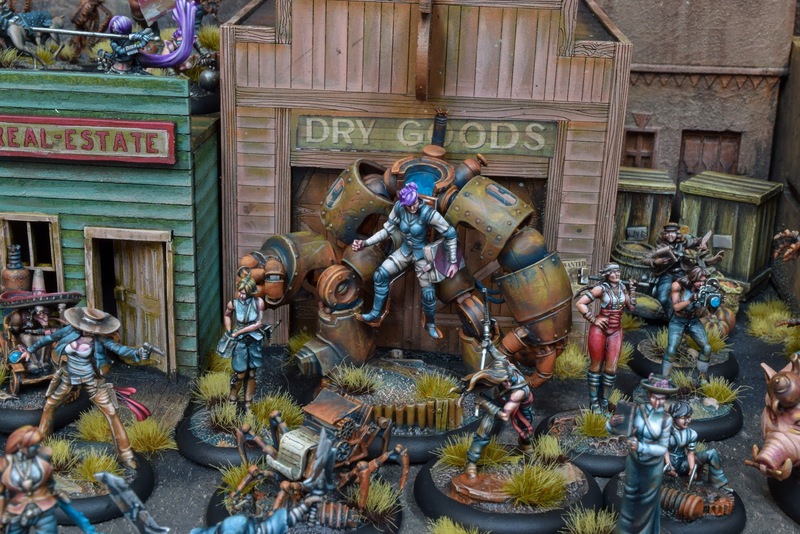 Little bit of Mailifaux with a western vibe, mixed with the dark and spooky flavor the game is known for. 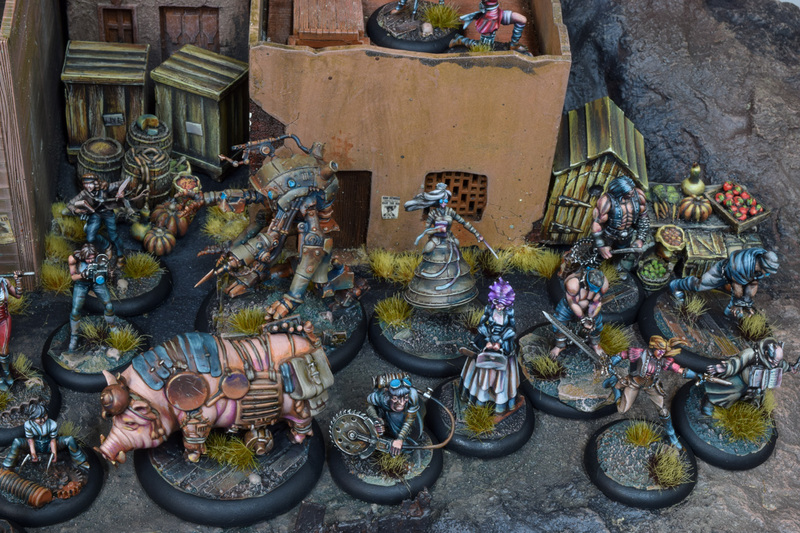 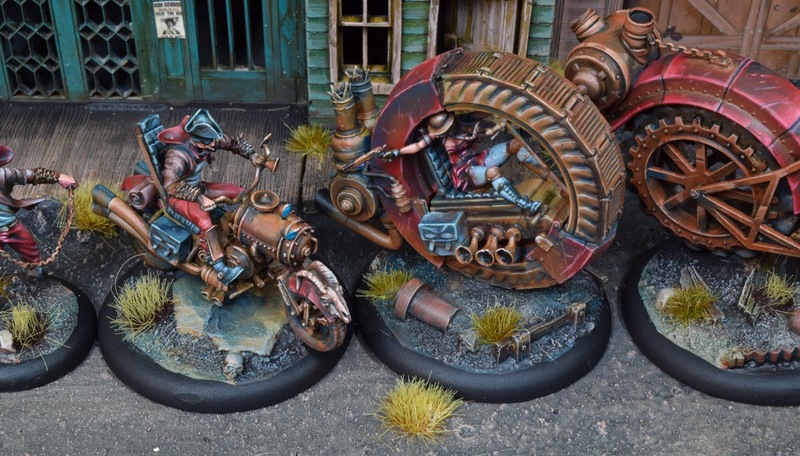 Another set of models with a lot of variety, each little subsection painted separately but using a rough chunk of the same core colors. 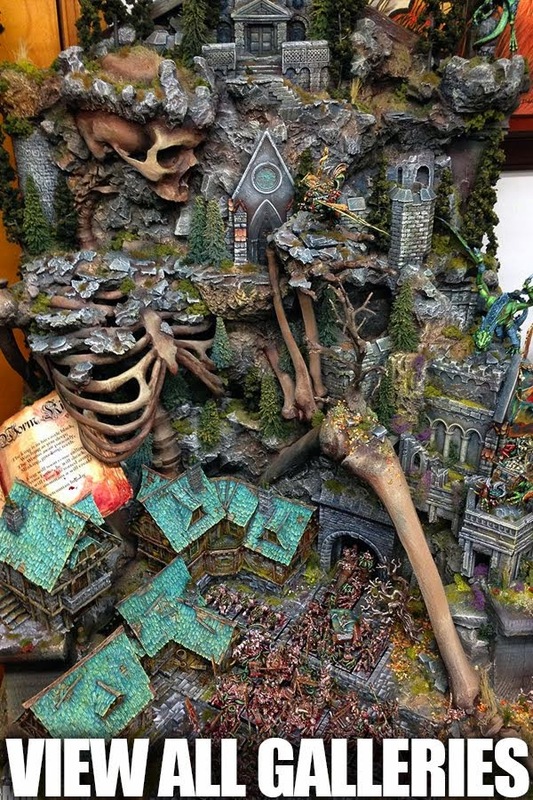 The block of skirmish games is over for just a minute, on to a big Orruk army and then some Eldar. 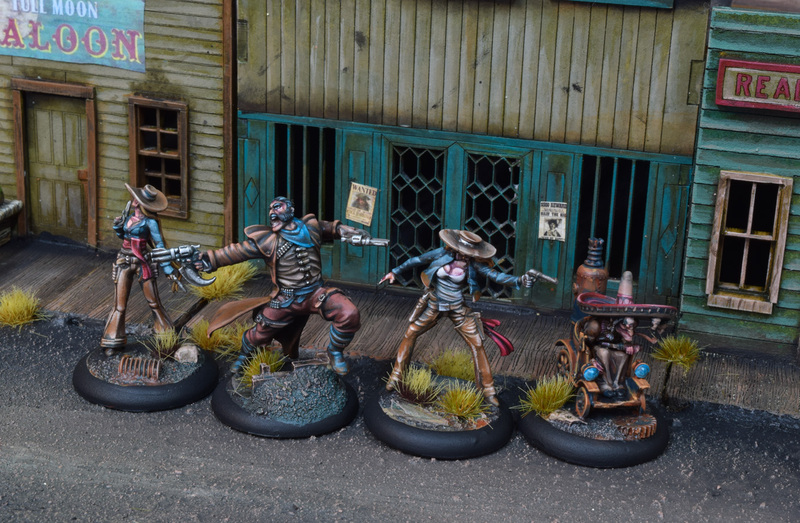 See ya then, cowpoke.